Live it, ride it and don’t close your eyes. Believe in yourself to go a little faster, harder and smile big! Maui offers everything from the best downwinder in the world to the biggest waves in the world, and everything inbetween. The warm waters and waves year round make it the perfect playground or paddle surfing and downwind paradise. 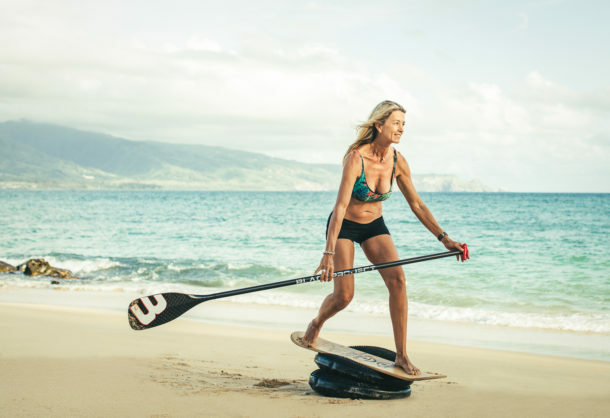 I love sharing my stoke for the ocean with you and I hope it inspires and encourages you to make every stroke count and each wave the ride of your life. Enjoy and share with your friends. I hope one day I look over and see you sharing a glide or wave with me.